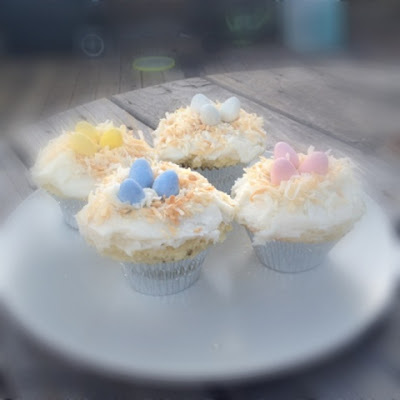 Last year around this time, I was browsing the interweb for some fun Easter treat ideas, when I stumbled upon Cupcakes and Cashmere's recipe for Coconut Nest Cupcakes. 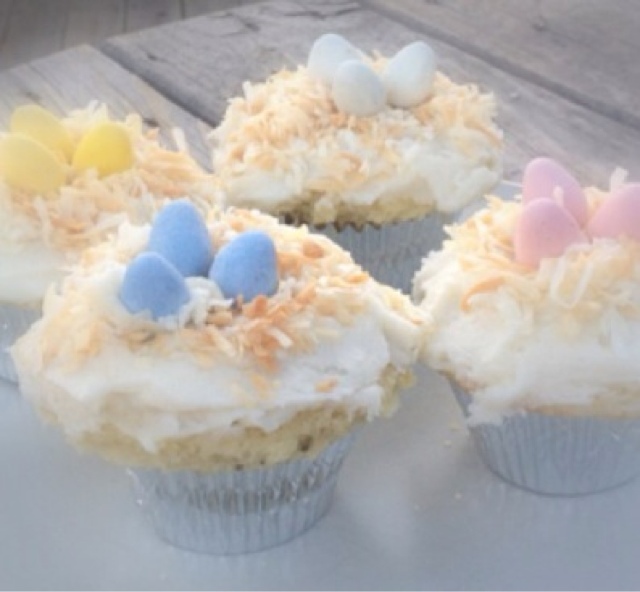 They were beautiful, cute, a little kitschy and Easter-themed. I was sold. So I made them. 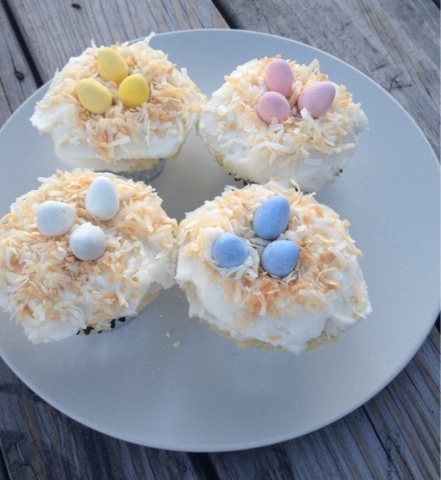 Then I renamed them because I think these cupcakes look more like an easter egg basket. I gave to friends as Easter gifts and the boys and girls were wowed. 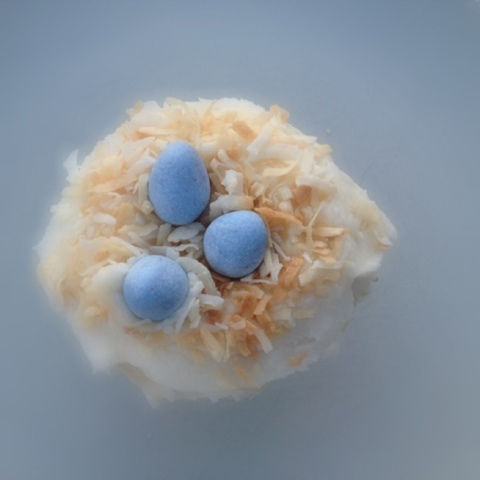 Try them this Easter. You'll be the talk of the town. Preheat the oven to 350 degrees. Line a muffin pan with cupcake liners; set aside. In a bowl, whisk flour, baking powder and salt; set aside. Cream the butter and sugar together until light and fluffy, about 4 minutes. Add the eggs one at a time, mixing until incorporated. Add the flour in alternating batches until thoroughly combined. Divide batter evenly among liners, about 2/3 full. Bake for about 20 minutes or until the middle of the cupcake springs back. Cool in the pan for 5 minutes, then remove cupcakes and allow to cool completely on a wire rack. *Leave the oven on and toast your coconut if you haven't already. The oven should still be at 350 degrees. Spread the shredded coconut on a baking sheet. Bake, stirring occasionally, until just beginning to brown, about 6-10 minutes. With an electric mixer, using the paddle attachment, cream butter on medium speed until smooth and creamy, about 2-3 minutes. On low speed, add powdered sugar and vanilla. If the frosting is too thick, add milk, 1 tsp at a time, until desired consistency is reached. That's what kind of candy I used! Cadbury Eggs!